Romance. Everybody loves love, right? 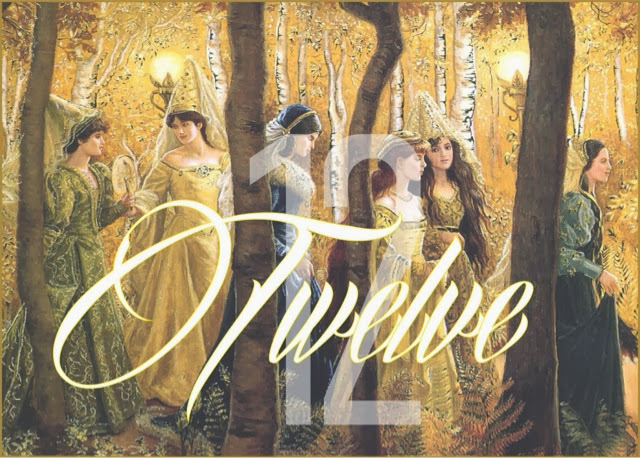 My latest project, a twist on the fairytale The Twelve Dancing Princesses, is packed with mystery, romance, and the antics of twelve mischievous sisters, a couple of smitten gardeners, and several puffed up noblemen. As a Valentine's gift to you, here's one of my favorite romantic scenes. A star-littered sky stretched protectively over the forest, the full moon’s light filtering through the leaves to bathe the clearing in cool beams. The sounds of polite conversation grew as a company passed through the woods, a breath of fog unfurling in their wake. The ladies, garbed in swishing gowns and beaded dancing slippers, dropped their lashes beguilingly and flashed coquettish smiles at their equally well-dressed partners. From the dark recesses of trunk and bough, a stranger kept silent vigil. His jaw tightened as the last couple neared his hiding place. The lady paused only a few feet from him. 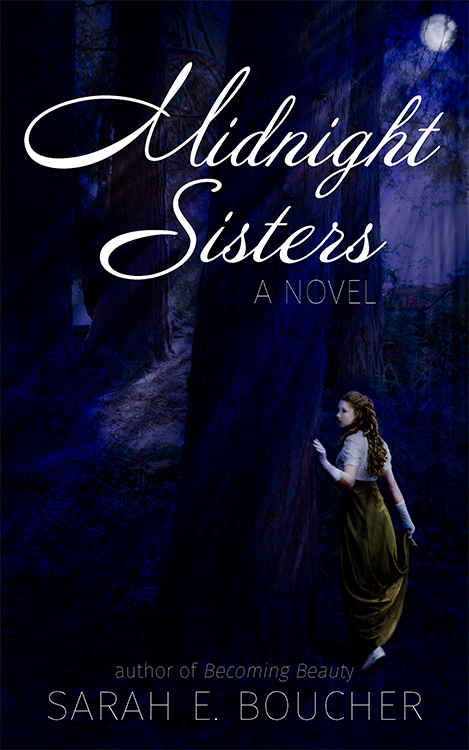 Her brown hair coursed in waves down her back as she tipped her face up to the moon. The fog, now thicker than before, lapped at her skirts. “The woods are quite lovely, are they not?” said the gentleman who accompanied her. A sigh passed her lips. “Sometimes life can be so stifling.” With her face tipped up to the moon, she missing the gentleman’s predatory expression. From his vantage point, the stranger missed nothing. His hands balled into fists. “Of course not.” He stepped close enough to run a finger down her cheek and cup her chin in his palm. “You deserve all the pleasures of life.” His arm snaked around her waist. “Never,” he said gruffly, pulling her nearer regardless of the palm still pressed against his chest. “I know exactly what you want.” Then, not in a soft, lingering kiss, but in the rough manner that bruises tender lips, he planted his lips on hers. The woman’s face twisted with anger. Placing both palms against his chest, she shoved with all her might and freed herself from his grasp. In a quick movement, the man lunged for her. The stranger, a mere breath away, could no longer stand idly by. Taking a step forward, he reached out a finger, hooked it under the woman’s sash and deftly yanked her into the shadows. Clapping a hand over her mouth, he pulled her back against him. Her companion, now swearing under his breath, blinked in confusion before making a cursory search of the area. The billowing fog and guttering moonlight made his efforts fruitless. After a moment, he drew himself up, his mouth twisted into a sneer. “Have it your way.” His voice lacked the warm invitation of a moment ago. “If something befalls you, be it on your own head.” Without a backward glance, he stalked down the path. 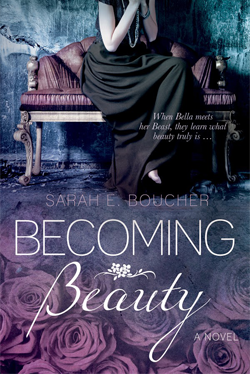 Slowly, with her shoulders set, she turned to confront him. Her face—caught in a slim band of moonlight—softened. “It’s you,” she said, her voice full of wonder. Without another word, she flung her arms around his neck and pressed her lips to his. The man’s eyes widened in surprise, then, savoring the feel of her mouth on his, they drifted closed. Thanks for dropping in! If you'd like to read more from Twelve, please peruse Arguing with Myself, Embracing the Fangirl Within, Just a Taste, & Interlude in the Rose Garden. And fingers crossed, we'll see it in print soon!